This week Awesome Stories brings you the gift of children. Anyone who is a parent knows the joy of children and the miracle of life. Looking at babies and young children, we see the innocence and joy that is our birthright. Children represent our innocence, born in love and potential. We innately understand that children will forge our future, both for people and the planet. Thanks to Isis from Marsa Alam Desert Retreat, I recently learned of Children’s Day. Children’s Day is celebrated on various days around the world to honor and celebrate children. India’s celebration strikes a touching chord due to its roots back to the country’s first Prime Minister, Jawaharlal Nehru. Jawaharlal Nehru was known for his love of children, so India decided to honor him by switching the celebration from the international day of November 20th to November 14th which is Jawaharlal Nehru’s birthday. On Children’s Day in India, gifts and chocolates are usually given to children, along with school dances and music performances. It’s also common to give books, clothing, and gifts to children in orphanages on Children’s Day. I find it auspicious timing that fellow blogger, Neha, is celebrating the birth of her baby boy. She wrote a tender poem called I Never Knew to honor his birth. This is the line that really touched my heart; I never knew my love could grow any stronger until I looked at your innocent face looking at the world for the first time. The poem is a touching tribute to the joy of being a new parent and finding your heart exploding with love. I yearn for the day when we treat all children as precious. And in turn, we expand our circles of compassion to include all people on the planet, and then all life on the planet. Maybe one day we will no longer need special days to honor certain groups of people and simply honor all people every day. To me, diversity is what makes the world interesting, vibrant, and strong. It’s good to acknowledge the differences in people, while always remembering that we are one human family. May we learn to live in peace with all, honoring all races, colors, genders, classes, abilities, religions, and cultures as the many delightful colors of the rainbow. It warms my heart to see the wave of younger, more diverse race and gender of people who were recently elected to Congress in the US midterm elections. I see this as a sign of progress to bring the changes needed in our politics and culture to be much more inclusive and fair for all. May your week be full of peace, love, and innocence. Thank you to all the children who bring more joy and hope to the world. that started to happen more and more. Thanks Miriam. 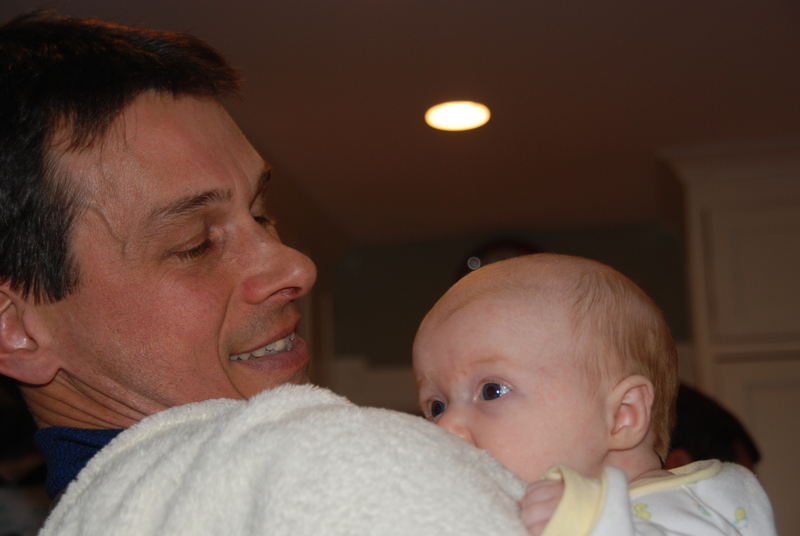 Even as just an uncle and friend to families, the joy of children and birth is palpable. May we learn to embrace all as our family. So sweet! Though I’m in the child-free club, I enjoy kids and I work with them a lot. Perhaps there will be a day when we honor all kiddos without having to have a special day. I came across a quote recently about how we should “raise children who don’t have to recover from their childhood.” I love that. Wonderful post and I hope you have a great weekend! Thanks Cynthia. I’m in the child-free club too, but am awed by children and birth. Newborns radiate wonder and curiosity. Growing up with alcoholism and abuse in my family history, I too would love to raise a generation that didn’t need to recover, but I suppose it’s part of the miracle of unfolding life learning to love more. What struck a cord was your suggestion that one day we may not need special days because we’ll respect everyone. But in the meantime, India’s children day sounds like a lovely idea. I’m glad you resonate with my idea of no special days. I understand the need for them, but wonder if we wouldn’t be more inclusive without so many days to celebrate subgroups of the human family. So true, Brad. And thanks for sharing that loving poem from a mother. In Japan, I saw parents and grandparents going to the shrine with their children, all traditionally dressed, to celebrate their children who had reached the ages of 3, 5 or 7. In older times, many children died before those ages, so when a child survived, it was cause for celebration. It warmed my heart to see them all. Wonderful sentiments Brad. Thank you! You’re welcome Cindy. Thanks for being a loving example. You’re most welcome Isis and thank you for sharing the children’s day idea that sparked this whole post. 🙂 And then Neha’s poem fit so perfectly. May we learn to love all as our family. Wonderful topic and post! Children bring so much life and love into the world. I love the picture of you and your niece! Thank you JoAnna. Not having been a parent, I still marvel at the joys of children and parenthood. Thank you for caring. Along with the joy, children are a lot of work. Extended family like uncles and aunts are very important. Your words are true and beautiful. I yearn for the day when we treat all children as precious – I agree with you, that is how we would truly acknowledge that Life is precious and the young ones hold a treasure trove of unconditioned definitions of the power and love of being alive. Children are such a gift to us. I wish all children could experience being treasured for the light they bring to the world. Thank you for speaking out on their behalf. Well stated Ali. Thanks for caring and offering a great vision. Love it…love it….love it!! Great pic of you and your niece….I so agree with diversity…we need to embrace it and cherish it. Diversity of people and thought keeps the human race alive and vibrant in my opinion. The world is so much bigger than we are….Have a great Thanksgiving, Brad! Agreed Kirt. Thanks for being part of the loving solution. May we love our human family. Happy Thanksgiving! This is a glowing light of positivity, Brad. Hugs on the wing! And I loved this paragraph..
Now wouldn’t that be a DAY Brad… I certainly add my own thoughts and prayers to that Day my friend.. Young children’s lives are so important we need to cherish and nurture as we encourage them to be respectful and compassionate in all areas of their lives..
It’s a grand vision and dream, but I do see progress. How fun that your granddaughter is the same age as my niece. 🙂 Hugs! Thanks for caring and being a loving parent. Yes, our children are both the teachers and the future.